Martin, very much the gentleman of the Pop world, began working for EMI in 1950, taking over as label manager at Parlophone in 1955. The label wasn’t known for Rock ‘n’ Roll back then, but all that changed in 1962 after Martin made the genius move of signing The Beatles. He would be later referred to as the ‘Fifth Beatle’, due to his intimate involvement in their recording career, working extensively with them at the now iconic Abbey Road Studios in London. The Beatles had been turned down by all the major labels, including the main EMI imprints of HMV and Columbia. Parlophone was very much the poor relation, but it turned out to be a match made in heaven – the cultured Martin, with his classical leanings, perfectly suited to the raw energy and songwriting savvy of the 4 Liverpudlians he discovered. 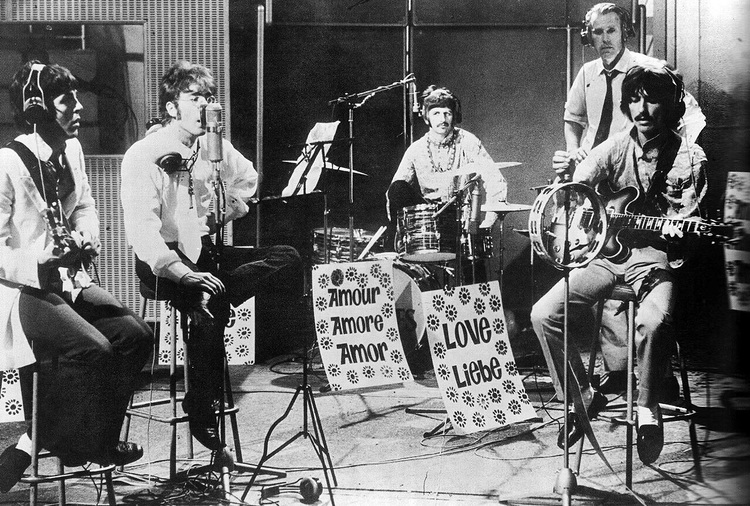 Initially these were John Lennon, Paul McCartney, George Harrison and Pete Best, but Martin was less than enthusiastic about Best’s drumming, wanting to use a session player instead – their first single, ‘Love Me Do’, would feature Andy White on drums, with Best’s replacement, Ringo Starr (headhunted from Rory Storm & The Hurricanes) playing on the album version and subsequent recordings. Throughout the next 7 years Martin would produce all The Beatles albums with the exception of the final one, ‘Let It Be’, which was out of sequence in terms of recording, the difficult studio sessions taking place in early 1969 against the backdrop of a band coming apart at the seams. The following year Phil Spector would sort through the tapes and cobble together a final LP from these messy sessions (immortalised in the film ‘Let It Be’), which was issued a month after the band broke up. Following the ignominy of the ‘Let It Be’ sessions, The Beatles were able to rally one more time, bringing Martin fully on board for their final album (in terms of recording) ‘Abbey Road’ (1969), adding to Martin’s production credits on ‘Please Please Me’ (1963), ‘With The Beatles’ (1963), ‘A Hard Days Night’ (1964), ‘ Beatles For Sale’ (1964), ‘Help!’ (1965), ‘Rubber Soul’ (1965), ‘Revolver’ (1966), ‘Sgt. Peppers Lonely Hearts Club Band’ (1967), and ‘The Beatles’ (better known as the ‘White Album’) (1968). 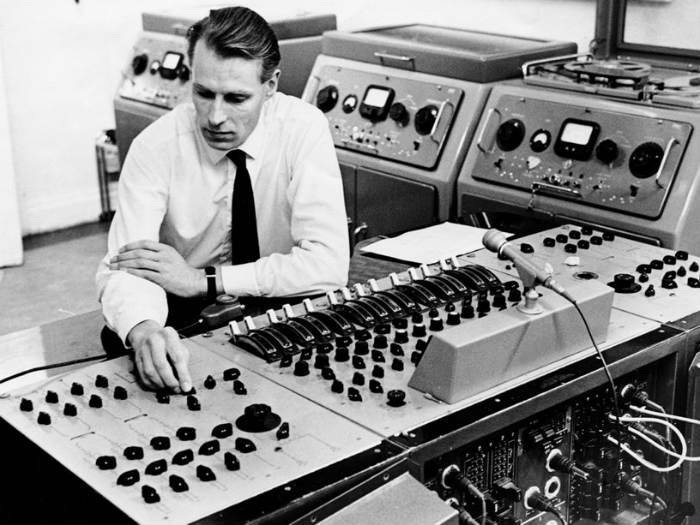 He would also produce the numerous singles / EP tracks that didn’t appear on the ’60s albums, overseeing what’s widely regarded as the greatest body of music recorded during the pop era. He was particularly influential in introducing the band to the classical instrumentation of the orchestra, which The Beatles would utilize to full effect, changing the course of popular music in the process, especially on the albums ‘Revolver’ and ‘Sgt. Peppers’. Apart from The Beatles, Martin would produce fellow Merseybeat artists Gerry & The Pacemakers, Billy J. Kramer, The Fourmost and Cilla Black. 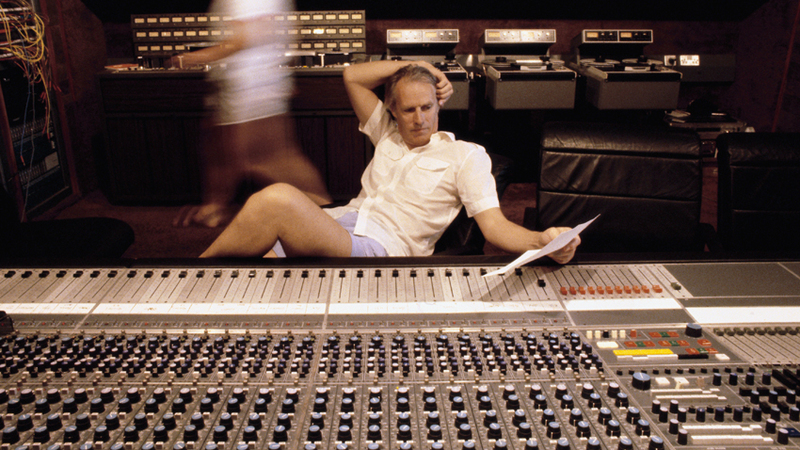 He would also subsequently produce hits for a variety of other artists including America, Little River Band and Paul McCartney – solo, with Wings and with Michael Jackson. Martin’s most successful single being the biggest selling of all-time – Elton John’s 1997 remake of ‘Candle In The Wind’, following the death of Diana, Princess Of Wales. His son, Gilles, has followed in his footsteps, collaborating with his father in 2006 to rework a number of The Beatles songs for ‘Love’, a theatrical production from Cirque Du Soleil, which also resulted in a soundtrack album of the same name. He was also heavily involved in preparing the music for the video game ‘The Beatles: Rock Band’, which was released in 2009.